Delta Force Paint Balling – The world’s largest paint balling company! Delta Force Paint balling has been at the forefront of the paint balling1973 industry for more than two decades and now operates in Australia, the UK, Ireland, New Zealand, and Canada. Having safely entertained more than 5 million paintball enthusiasts, you can be guaranteed that your experience with us will be safer and more comfortable than ever before. Perth’s Mediterranean climate produces ideal conditions for outdoor activities. Add this great climate to the incredible and natural Australian bush surrounding the city and you have the perfect setting for a full day of paintball action with Delta Force. 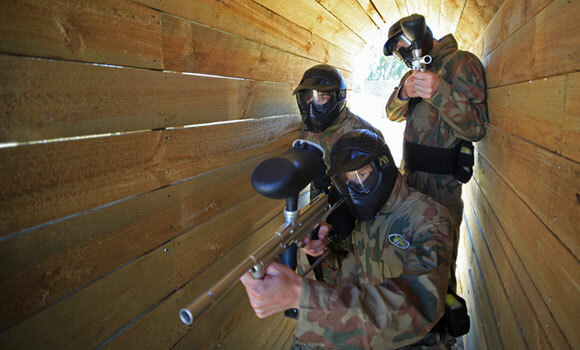 Paint balling in Perth is quickly becoming the activity of choice for groups of all sizes. Every week we see players of all ages and abilities walk through our doors and have the time of their lives. No matter what the occasion, we’re sure you and your friends will have a day to remember. With inspiration from our North American and European playing fields, we have changed the face of the Australian paintball industry and continue to offer the ultimate paintball adventure for you and your mates. Movie-set game zones, state-of-the-art equipment and professional staff are what you can expect on a day out with Delta Force. With two paintball centres located within an hour from the CBD, the Delta Force centres in Muchea and Baldivis (Delta Force Bonneys) are easily accessible and offer all customers the very best in paintball entertainment. Our Perth paintball centres are staffed by some of the most experienced paintball people in the industry, we definitely have what it takes to fulfil our promise. So round up the troops, book a date and get ready for a full day of paintball action with the world leader in paintball games. You won’t be disappointed! Stay low and shoot straight!